A Face in the Crowd – Make Mine Criterion! 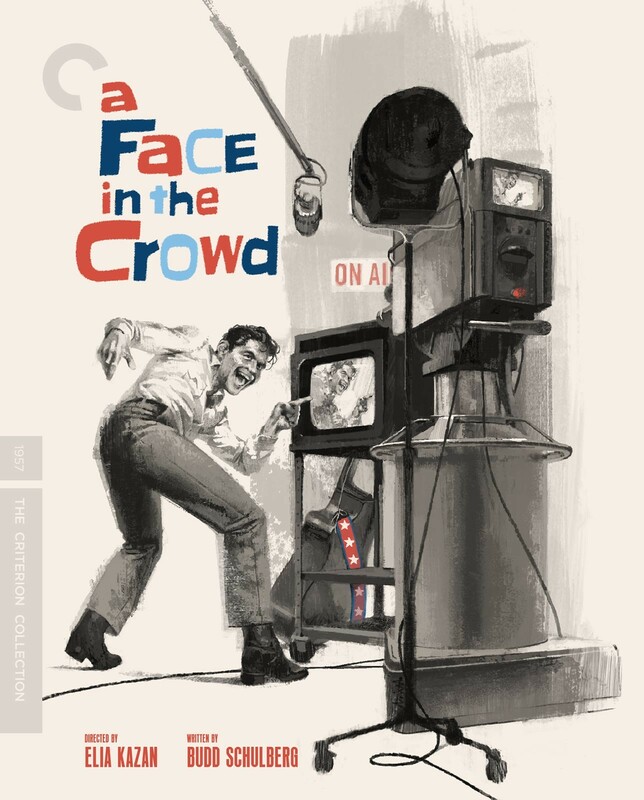 We knew it was coming and today it was announced: Elia Kazan’s A Face in the Crowd joins the Criterion Collection in April! MMC! imagined a Criterion edition of the film just one day shy of a year ago, although I must say that I think a few more extras might have been available looking back on our previous post. Still, I’m happy to take what I can get and glad to see this MMC! favourite in the Collection. Those with more money burning a hole in their April 2019 pockets can pick up CC editions of Gillian Armstrong’s My Brilliant Career (1979), Jan Nemec’s Diamonds in the Night (1964), a set featuring Jackie Chan’s Police Story (1985) and Police Story 2 (1988), and blugrades of Jim Jarmusch’s Stranger Than Paradise (1984) and Night on Earth (1991)! The Criterion Collection, a continuing series of important classic and contemporary films presents A Face in the Crowd. Before he brought Mayberry, North Carolina, into American homes and became an icon of moral rectitude as Sheriff Andy Taylor, Andy Griffith burst onto cinema screens as Lonesome Rhodes, a charismatic drifter with a canny, down-home wit and an avaricious taste for status and influence. After charming Arkansas radio reporter Marcia Jeffries (Patricia Neal) and becoming a local media star, Rhodes leverages his growing popularity into national television fame and a trusted position among political and industrial power-brokers. Gradually Rhodes is corrupted by his own success and his laid-back attitude gives way to a monstrous off-camera personality. With stand-out supporting performances by Walter Matthau, Anthony Franciosa, and Lee Remick, director Elia Kazan and screenwriter Budd Schulberg create a roaring statement against grassroots fascism, advertising fakery, and the pernicious influence of television on the political process.